When I was younger, I used to tell everyone that I hated seafood, except for shrimp, lobster, crab, oysters and mussels. One day, Momma asked “So, you like seafood, you just don’t like fish.” Oh. Right. Yeah. I don’t like fish. Actually, no. I hate fish. My family loved to have fish fries. And by that I don’t mean fries made of fish (a la fish sticks, which, I will eat only with an insane amount of ketchup, you know, so that I don’t taste the fish. STOP JUDGING. oh, what the hell–judge away!). What I mean is a fish fry. But plural, because we had them a lot. What was served at our fish fry? Catfish (usually caught by my mother, who LOOOOOOOOVES to fish), fries, coleslaw, and hushpuppies. What would I eat? Hush puppies and coleslaw (I wasn’t a big fan of fries either. I was a weird child). Once we only had fish and fries and I ate NOTHING. It was traumatic. Needless to say (but I’m going to anyway), as I got older I started appreciating fish more and after living in Australia for 3 years, I developed a fondness for fish & chips! After what was (at the very least) a monthly protest of “eating” fried fish, you can imagine my mother’s shock when on a trip home, I requested it. 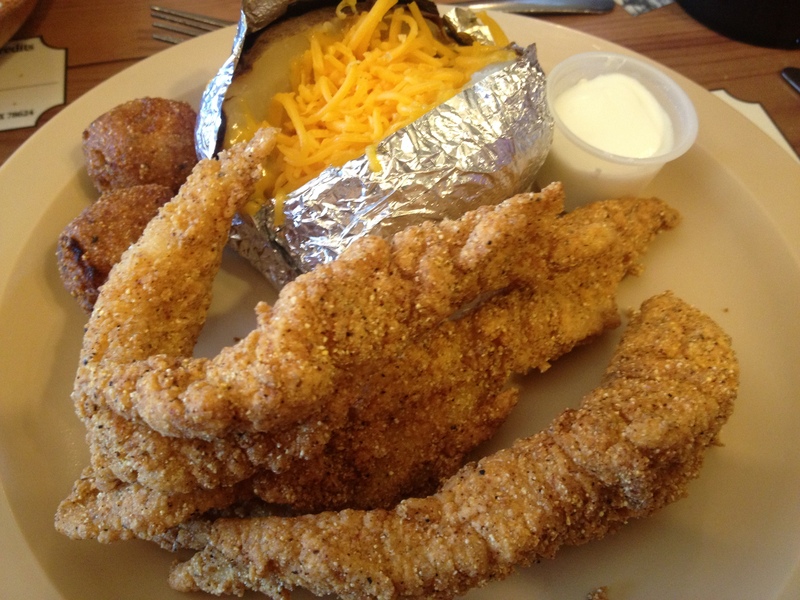 There’s a place in town called Catfish Haven. And it’s pretty darn tasty. Aside from the fish, they also have fried okra, which is something you CANNOT get here in NYC. I never look at the menu, except to keep me occupied while waiting for the waitress. I always, always get the 3-piece, extra crispy, with a baked potato and all the toppings. Yes, I said extra crispy. I need to feel that crunch when I bite into it. 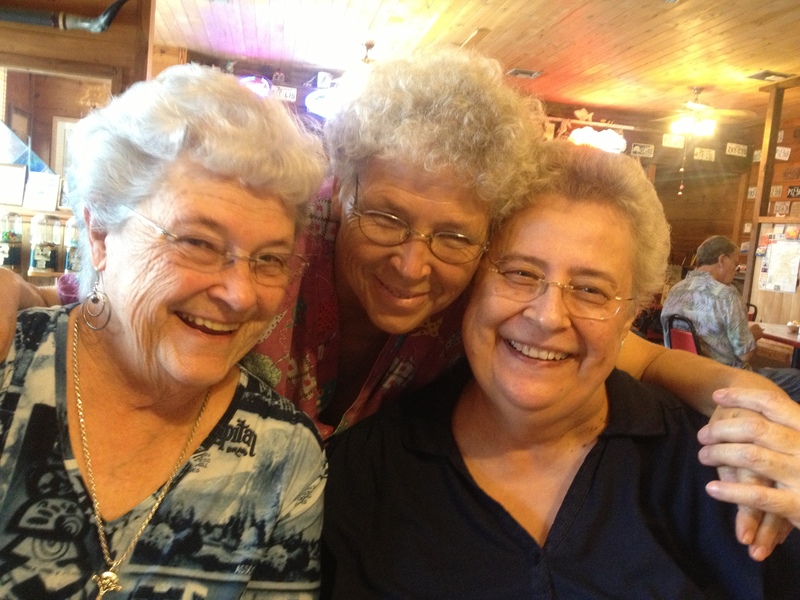 Honestly, the best part of the lunch is going with The Girls: Momma and her two best friends (and cousins) Jeanie Bel and Carole. In addition to good food, there’s a lot of laughter, which provides something every great fish fry has to have: a sense of family and of home.